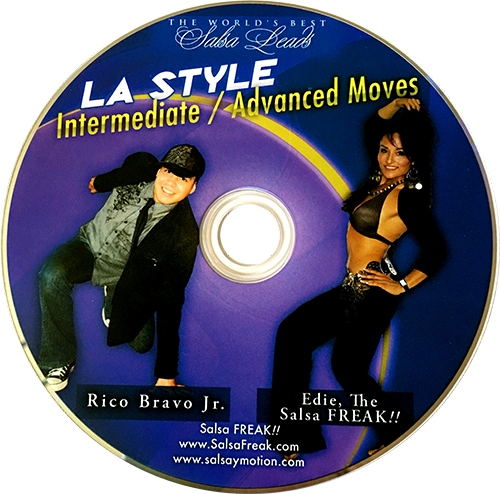 SKU: N/A Category: DVDs Tags: Intermediate/Advanced, Rico Bravo Jr.
Edie, The Salsa FREAK!! and Rico Bravo Jr. of Seattle Washington have teamed up to give you the HOTTEST moves from Los Angeles, California! Since the age of 14, Rico Bravo Jr. has danced and performed on stages all over the United States. Edie has always considered Rico to be one of the “Flashiest” of show dancers, but recently, the quality of his lead has risen to that of one of the best in the world. As many of you know, it is extremely RARE to find a Master Performer with such an excellent social dancing lead as well. Normally, you get “either or…“, but with Rico Bravo Jr., he is an excellent performer AS WELL AS a World ClassLead. Rico and Edie will teach you in one hour, what has taken them literally YEARS to get to this level. 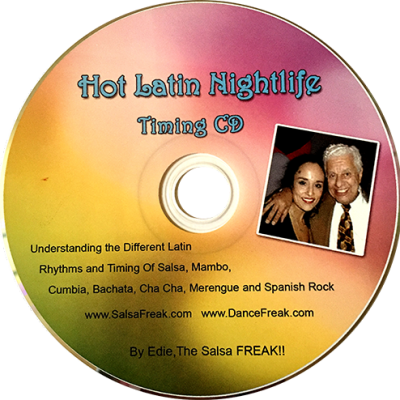 This hour-long DVD covers over twenty of the HOTTEST “LA – Style” Salsa moves, with concise detailed descriptions every step of the way – in both directions. The quality of instruction is perfect for the budding Salsero wishing to add to his collection of Flashy moves. 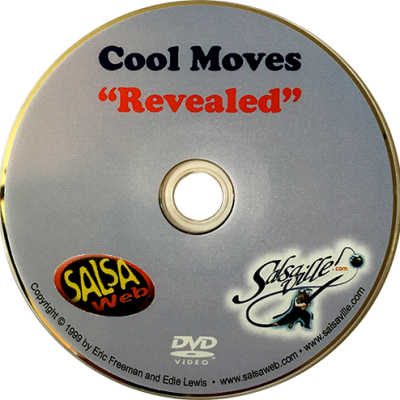 This DVD is the PERFECT GIFT for the dancer in your life!